World ranked middleweight contender Sergiy “The Technician” Derevyanchenko (13-1, 10 KOs), of Brooklyn, NY, was victorious this past Saturday night, April 13, against former world title challenger Jack Culcay (25-4, 13 KOs), of Davie, FL, at the Minneapolis Armory in Minneapolis, MN, taking home a 12-round unanimous decision. Scores for the bout, telecast nationally on FoxSports1, were 116-112 twice, and 115-113. The victory earned Derevyanchenko, co-promoted by DiBella Entertainment and Fight Promotions Inc., the status of mandatory challenger for the IBF Middleweight World Title currently held by Brooklyn rival Daniel Jacobs. On October 27, 2018, the former Ukrainian amateur standout lost a hard-fought controversial 12-round decision to Jacobs for the vacant title at Madison Square Garden. 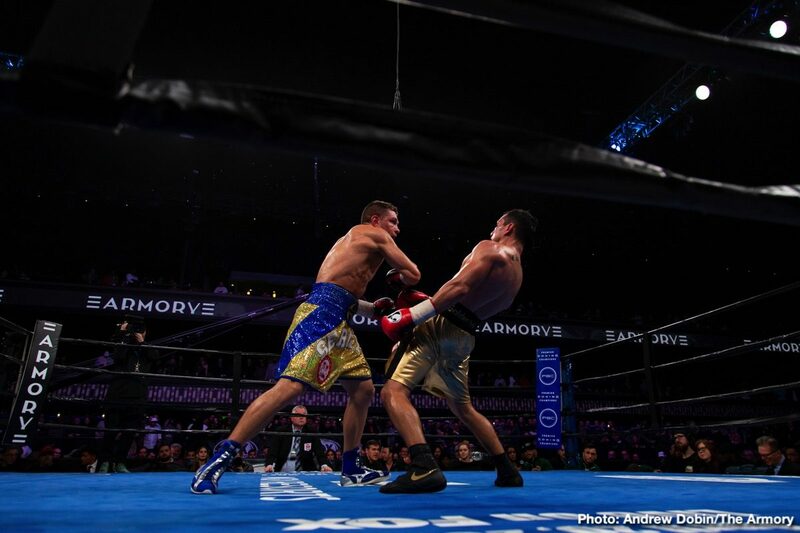 With Jacobs headed to a middleweight unification showdown versus Canelo Alvarez on May 4, Derevyanchenko looks to make a quick return fighting any of the top middleweights. Congressman Pete King, of New York’s 2nd Congressional District, was present to support one of his most popular constituents, WBA Super Middleweight World Champion Alicia “The Empress” Napoleon last Wednesday night, April 10, at Sony Hall in Times Square, New York City. Featured on the DiBella Entertainment Broadway Boxing event, Napoleon, of Lindenhurst, Long Island, NY, did not disappoint, scoring a second-round knockout of Eva Bajic in front of a packed house of her fans and supporters to raise her record to 11-1 (6 KOs). “It was an honor to have Congressman King among my many supporters last Wednesday and I look forward to his continued support for my future fights,” said Napoleon.